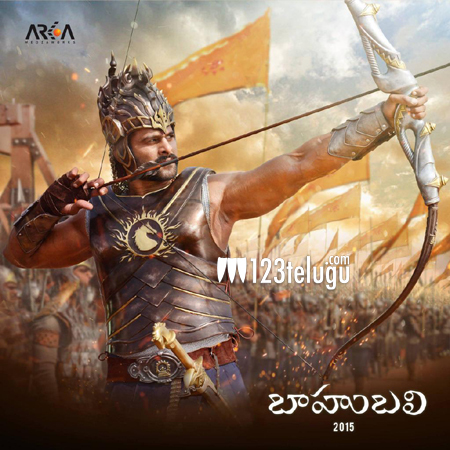 Ever since the makers of Telugu Cinema’s most highly anticipated film, ‘Baahubali’, kick started the film’s promotional campaign by releasing the first poster on the May Day, a lot is being discussed about the film by fans and even several well known filmmakers. Already, popular filmmaker Karan Johar expressed his happiness on acquiring the Hindi rights of ‘Baahubali’. Joining the list of admirers now is KE Gnanavel Raja, the film’s Tamil producer. Expressing his happiness, Gnanavel Raja tweeted, “proud to be part of s s Rajamouli sirs prabhas starring mega project baahubali..this is the biggest project till now” Gnanvel Raja’s Studio Green has acquired the Tamil rights of ‘Baahubali’ for a whopping price. Meanwhile, the post-production work for ‘Baahubali’ is going on at a brisk pace, with several hundreds of master technicians working round the clock. After an extensive promotional blitzkrieg, ‘Baahubali’ will release big on the 10th of July.